Be prepared to be transported back to your school years! 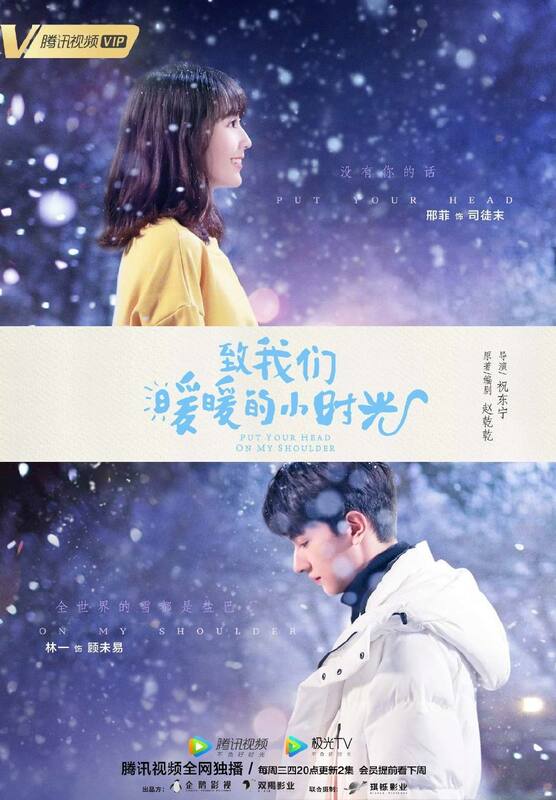 From the creator of A Love So Beautiful, Zhao Gangan, comes another new romantic drama Put Your Head on My Shoulder 致我们暖暖的小时光. 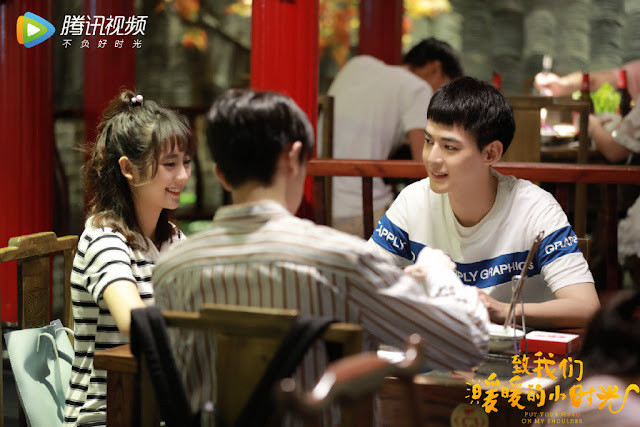 Based on the author's book of the same name, the 24 episode series brings to life a sweet and funny campus love story between two individuals, Si Tu Mo played by actress Xing Fei of Master Devil Do Not Kiss Me fame, and Gu Wei Yi, played by rookie actor Lin Yi. Tang Xiaotian, Zheng Yingchen and Zhou Junwei are also set to play supporting roles. As young adults can probably attest, university is a period in your life that is characterised by the constant struggle to make the right decisions to secure the future. You're on the cusp of adulthood so the pressure to get things started on the right foot is tremendous. Such is the circumstance Si Tu Mo finds herself in as graduation is fast approaching and she is yet unsure of her plans for the future. She's tried out different things to see what suits her but is yet unable to find the courage to make a choice. 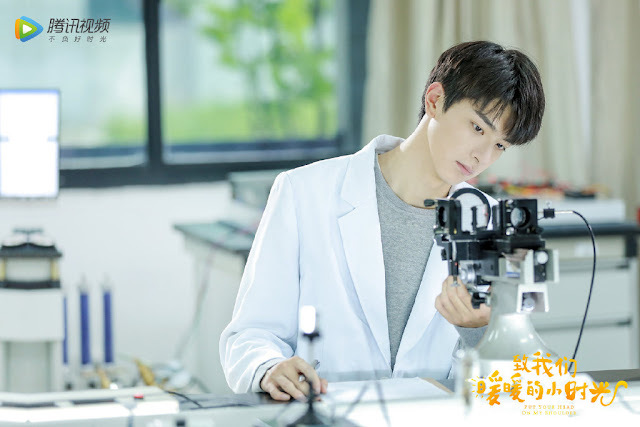 Her ordinary and structured life gets a dose of excitement when Gu Wei Yi, a brilliant physics student, enters her life. They say that "proximity builds propinquity", and never has it been more true for these two! It seems coming of age drama genres have been gaining more popularity in the past few years. I guess it's the nostalgia of those much more carefree days that's capturing people's fancy? Pretty sure the pressure was indeed very real at that time in your life but hey ho, don't we all seem to look back fondly at our memories with rose tinted glasses. 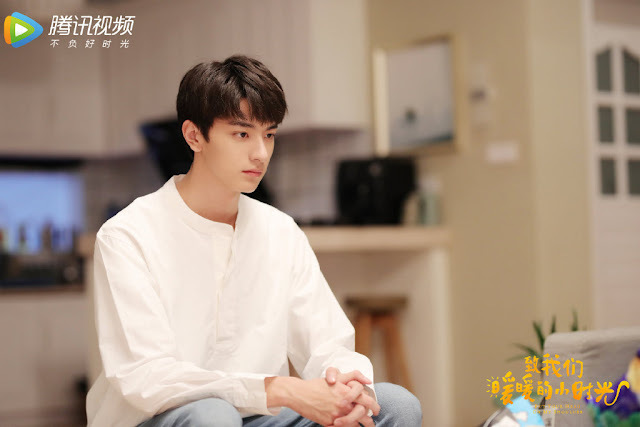 Anyway, if I'm not mistaken, fresh faced Lin Yi makes his acting debut as the male lead in Put Your Head on My Shoulder. D'you think this was a good move taking a page out of A Love So Beautiful where they similarly cast rookie actors? Well, we've not a long wait to see him in his role as the series debuts real soon. 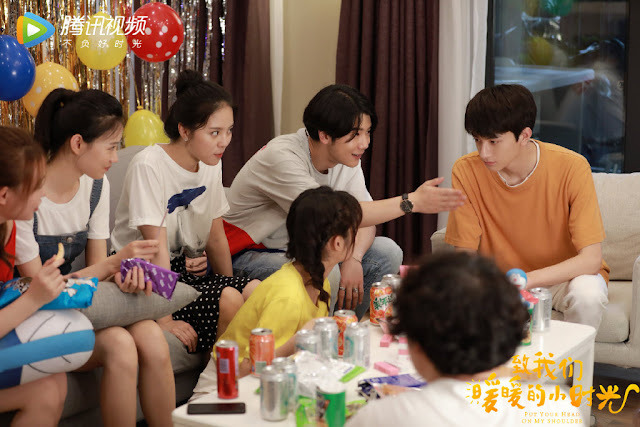 Release date: April 10, 2019 Tencent (two episodes every Wednesday and Thursday at 8pm). Next week's episodes released in advance for members. 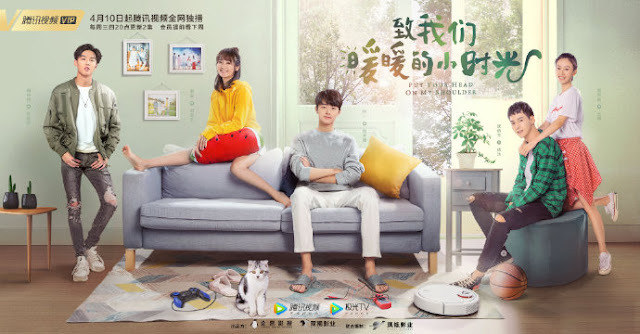 Vote for your favourite Chinese dramas in 2019. Looks so sweet. 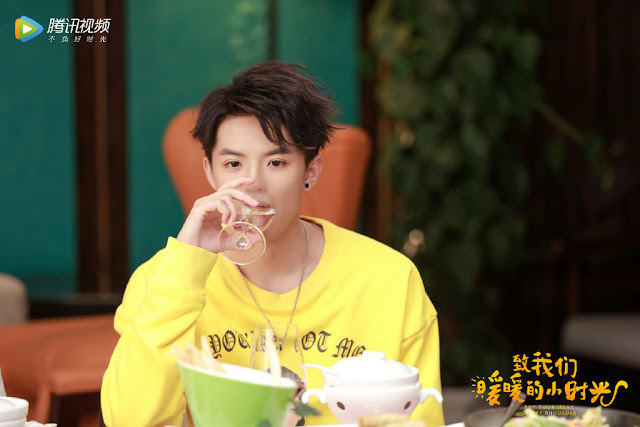 I really hope this newbie does not commit the same crime as Hu Yitian where Fame got over his head and he created a stupid scandal within a year of debut. That's exactly what i thought ^_^; just when i wanna start watching the drama, i read about hu yi tian, and that really turned me off. I can't watch the drama without think about his scandal, and it's really didn't match with his character in the drama. I'm looking forward to this campus romantic comedy! Lin Yi had auditioned for the main role in Huckleberry Friends, but didn't get the role. Hopefully he'll do well in this drama to kick start his career. And eventually be in a drama with Li Landi (fellow Tangren artist). You can check out how cute the 2 leads are in the this trailer for 4 upcoming dramas. It's the first drama showcased in the trailer. 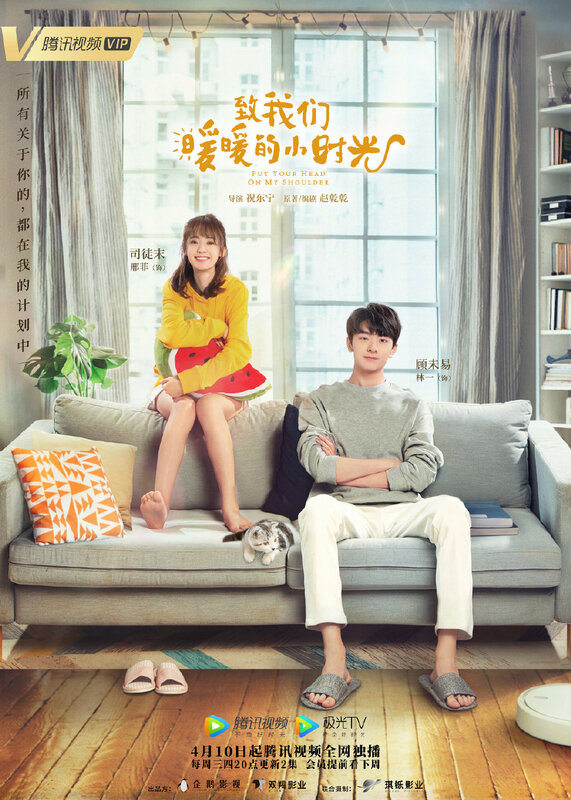 I skipped A Love So Beautiful because I didn't like the premise of the show or the 2 main leads. 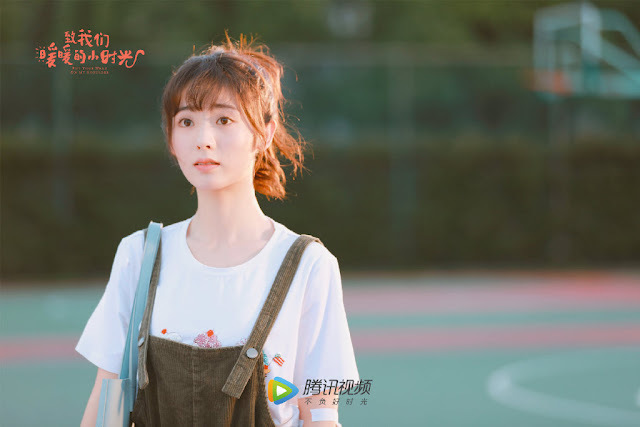 Hu Yitian and Shen Yue didn't impress me with their acting and lacked chemistry In the first 2 episodes I did watch.